Plan for the day: Apart from continuing the text and flow edits of Part One, I aim to review all six of the Part outlines, to note where there would be shortfalls to background if parts were split into three books, AND to identify potential need to strengthen endings of Books 1 and 2, and beginnings of Books 2 and 3 because of the separation. Also over coming days will reconsider current Part titles and alternative Book titles. Fortuitously, the day feels fresh and cool and bright without a hint of rain. An omen? Editing: a) Clear-headed morning with focus on Part One. All changes feel good. Many words cropped and paragraphs merged. Much tighter and more active. Would like more days like this. 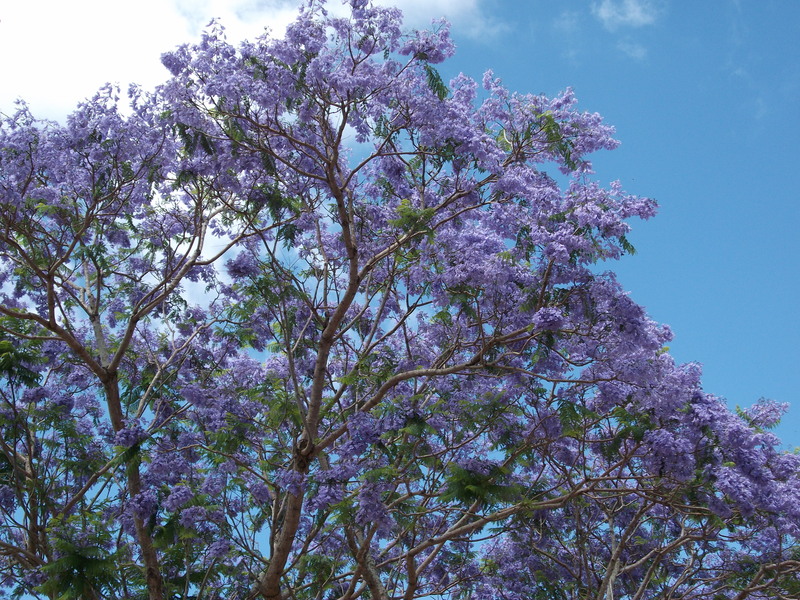 Freya flies out of Australia on a four-week family mission, leaving behind her favourite jacaranda trees. 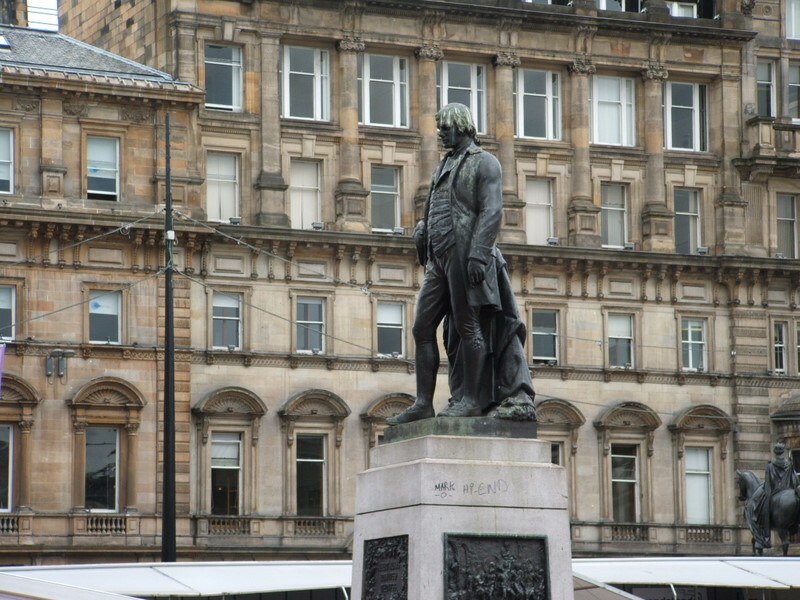 She finds Glasgow drab and grey and unwelcoming. b) Also happy with review of all Parts with notion of three books. Do-able I think. Was a bit surprised to find I hadn’t updated all Parts changes in outlines, but quick scan reminded me what has been done and I’m happy with that. Tomorrow I will start to play with outlines a bit more before finalising a three book approach, but am thinking this is the likely decision. Will feel more focussed when that’s done, regardless of decision. I want it to be binding then. Outcome: The library was pleasant to work in – only sporadic and thoughtful background conversations – not at all intrusive. Made fruitful progress till mid-afternoon, and then made for home and family time. 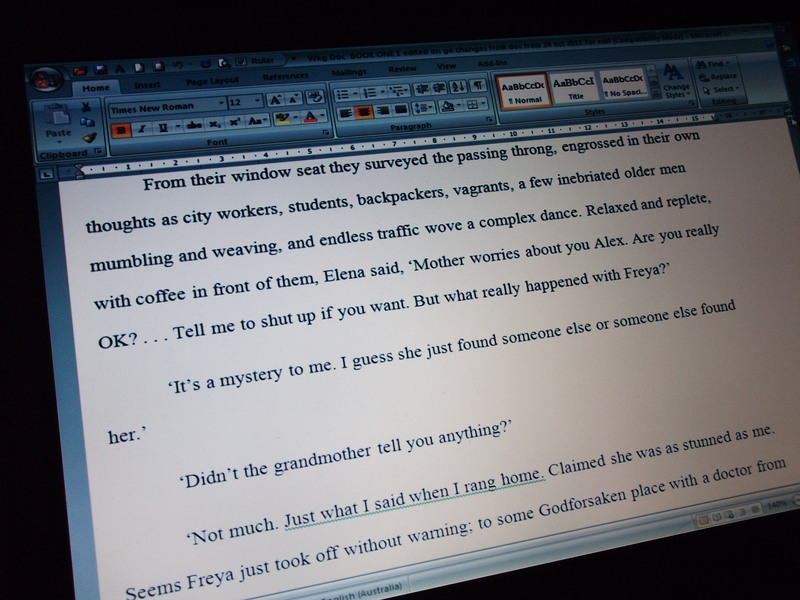 5 March: a) Back to reshaping early chapters of Part One. I think it is working. Teenage Freya knows there are true and apparently insoluble mysteries on her father Jacob’s side of the family. Because of an uneasy relationship with her Gramma, Freya’s discovery of possible concealments on her mother Claire’s side of the family as well, is not as startling as it might have been. Not confirmed, but it looks as if Gramma McCarthy deliberately fed misinformation to Claire when she was young. Freya believes she would feel less the odd-one-out in the family, if some of the gaps could be filled in, and hopes she can follow up at some time in the future. Simplified a clumsy scene and in doing so improved plot-line. Pleased with that. b) Also spent some time in Part Two when Alexander, now in Scotland, hosts his sister who has been backpacking with Aussie friends in Europe. They are also doing a bit of family catch-up and reminiscing. I need to strengthen the emphasis on a common migrant experience of having to chase work and the unease many experience in an alien climate, especially older people – a challenge to the ‘show / tell’ contest. 3-4 March: Little attention to writing. Family matters took priority. Spent some time helping a friend structure her blog – she got it published but there is an access issue. She’ll seek help from WordPress to sort it. Caught the end of a multiple book launch by IP, a local small press publisher. 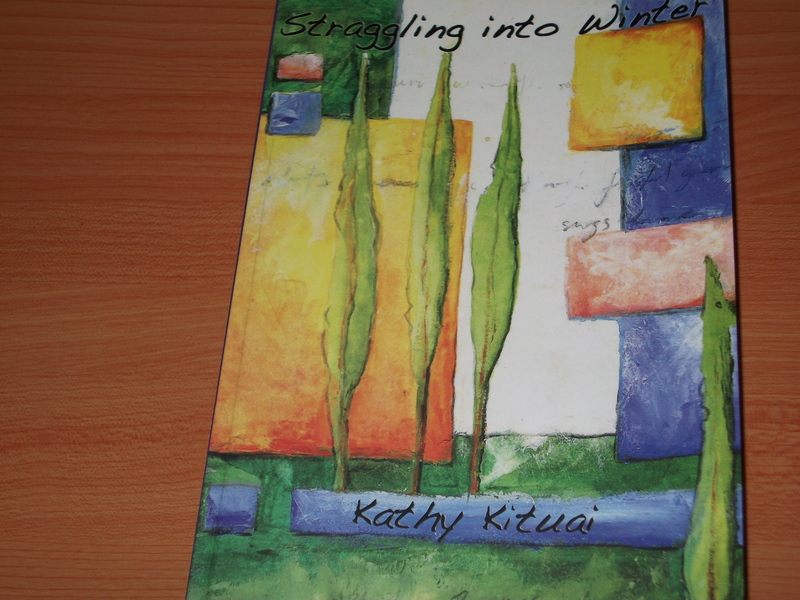 Bought a wonderful collection of poetry by Kathy Kituai and learned for the first time about tanka. 2 March: Writer’s Group meeting in the morning. Wonderful to get together. Everyone has been productive and we weren’t able to feedback verbally to one member within our time slot. All is not lost though, as we all provide emailed review comments in Word. We are a well established group now and able to cope with robust opinions about each other’s work. Genres represented are: memoir, historical fiction, crime, family focus, women’s read, Christian focus. Afterwards some of us met to work out how to develop an e-anthology of a selection of our writing exercises to circulate for free. We’re not far off now.